Enrollment is limited and on a first come/first paid basis. LIABILITY WAIVER: To: THE BRIERS BASKETBALL CLUB, its agents, employees, administrators, sponsors, coaches, convenors, managers or assigns: I, the undersigned, the parent or legal guardian of Player Named Above (hereinafter referred to as “the player”), hereby authorize and permit the player to participate in the activities of the Briers Basketball Club. In giving this authorization and, in the event of any injury or loss occurring to the player at any time during the current season, I hereby release and agree to bring no action whatsoever or assert any cause of action whatsoever against the Briers Basketball Club, or any of its agents, employees, administrators, sponsors, coaches, convenors, managers or assigns by reason of any alleged act of negligence, breach of contract or statutory duty or any other cause of action known to law. By signing below, I assume all risks associated with the game of basketball. PHOTO USE: I hereby agree that the above player’s name/photograph/image/audio recording/video recording, or other visual reproduction may be used by Brantford Briers Basketball, its agents, employees, administrators, sponsors, coaches, convenors, managers or assigns, in its promotional, publicity and informational material. NAME USE: I consent to the use of the player’s name for the purposes of publishing participant names, game results and statistics. 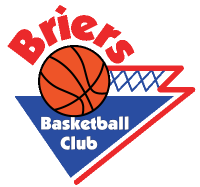 You acknowledge receiving email updates from our organization through your program registration with Briers Basketball Club. IF, IN THE SOLE DESCRETION OF OUR CONVENORS/COACHES, YOU DISRESPECT THE SPIRIT OF FAIR PLAY YOU WILL BE ASKED TO LEAVE THE FACILITY. I certify that I have read all the terms and conditions as noted above, and do intent to be legally bound thereby.